East Pakistan Agricultural University (EPAU) was established in 1961 to bring together in one campus the higher education in agriculture and all allied subjects including Animal Husbandry. Later on academic development programme EPAU firmly realized that the subject "Animal Husbandry" is important enough to be a Faculty on its own. As such the Faculty of Animal Husbandry was established in 1962 and began to offer Bachelor degree in Animal Husbandry (B.Sc. A.H.). The objectives of establishment of the Faculty of Animal Husbandry is to produce first grade animal production graduates, scientists and researchers to play key role in agricultural development through increased livestock production. The educational goal of the faculty includes teaching, research, training and extension. The aim of teaching, for example, is the creation of professional and technical manpower in animal production and related fields such as animal breeding and reproduction, animal nutrition, in dairy, poultry, meat and draught animal production. The academic administration of the Faculty of Animal Husbandry is governed by the ordinance and regulations of the university. The academic activities are monitored by the Dean of the Faculty. The Faculty offers Bachelor, Master and Ph.D. degrees. Bachelor degree programme: The bachelor degree programme is named as B. Sc. A .H. (Hons) which is a full-time four year and six months course in which the students are to enter with requisite qualifications (SSC & HSC in science group). The bachelor degree courses are offerd in 9 semesters of which 8 semesters are taught and practical classes and the last semester is for internship. Each of the semesters consists of six months. Bachelor degree in Animal Husbandry consists of 71 compulsory courses and 25 collateral courses with a total of 96 courses. The courses are distributed over four levels in four years where each level consisting of two semesters. Master of Science (M.S.) is offered by each department of the faculty and is named after the name of the department (for example, M. S. in Animal nutrition). Master degree courses are offered in three semesters each having 6 months. Two of them are taught courses and the last one is thesis semester. In master programme, a student must carry out a research work and write a thesis and defend it to earn the degree. Three years duration of Ph. D degree is offered by the individual department of the faculty. This is basically a research based degree and the records of a student's research works are compiled in the form of thesis which is submitted and defended by the student successfully to earn the degree. The student seeking admission into Ph.D. programme in any department should posses M.Sc./ M.S. in any subject of the faculty, or equivalent degree. In addition to the academic programmes and activities, the five departments of the Faculty have number of activities related to teaching and research. The teachers of each department have number of research projects funded by national and international donors. Many of the research works are conducted under the collaboration of other foreign universities and institutes. The teachers of the Faculty time to time offer lectures in various training programmes related to livestock production conducted by different organizations. The teachers are also involved intermittently in national committees as experts in livestock production and extension activities formulated by the government. Dairy Farm is being managed by the department of Dairy Science. The main objectives of this farm are to provide facilities for practical classes of undergraduate students and research work of post graduate students and teachers. It also provides facilities for different training programmes. At present there is a cattle herd of around 300 heads of various classes and age groups in the farm. Poultry Farm is functioning under the Department of Poultry Science for training, education, research and extension purposes. The main objective of this farm is to provide similar facilities as has been stated under the section of dairy farm. The farm management also arranges short training and extension programmes for the farmers and employees of different organizations. Varities of chicken, ducks and pigeons have been kept in the poultry farm. Goat, Sheep & Horse Farm is managed by the Department of Animal Science. The main objectives are same in the case of dairy farm. A flock of about 75 sheep and 50 goat heads are being managed for practical demonstration and research in the field goat and sheep husbandry. Besides, a small number of horses are also available for demonstration. Artificial Insemination Centre is under the management of the Department of Animal Breeding and Genetics. It was established with a view to giving practical training to the students of Animal Husbandry in the field of artificial breeding and conducting researches to find out solutions to the basic problems in this field. It also extends its service to the rural people for artificial insemination of their cattle. All cows, does, and ewes of dairy and goat-sheep farms are also artificially inseminated in this centre. At present there are 8 bulls, 2 rams and 16 bucks in the artificial insemination centre. Animal Nutrition field station has been established as a field laboratory for large and small ruminants, small animals & poultry. The Animal Nutrition Field Laboratory is managed by the Department of Animal Nutrition. The main objectives of this station are to conduct practical classes for the students of Animal Husbandry in the fields of animal nutrition, feed industry, and technology of feedstuffs. It is also used as research station for conducting postgraduate research in the fields of fodder production, ruminant nutrition and non-ruminant nutrition. Three cannulated animals, 20 cattle, 15 sheep, 15 goats, 30 rabbits and poultry birds are reared here for demonstration and research experiments. 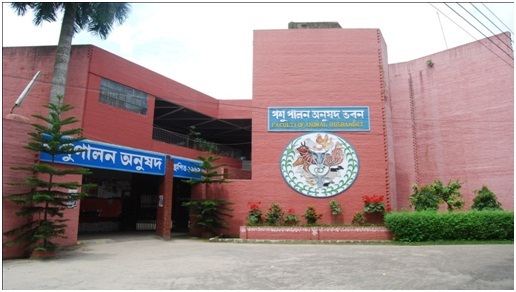 QUAZI FAZLUR RAHIM LIBRARY There is a faculty library named in the memory of late Professor Dr. Quazi Md. 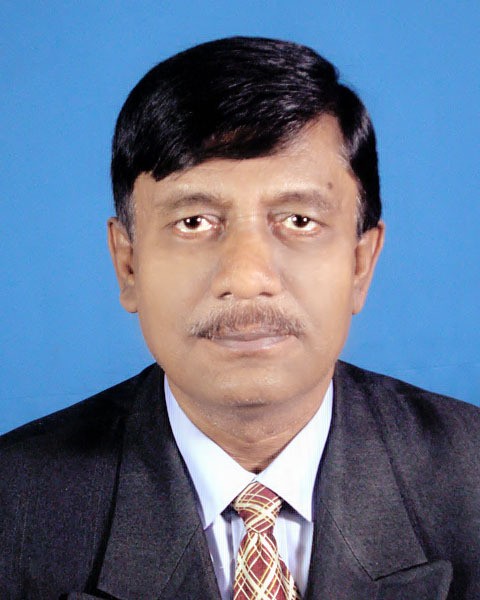 Fazlur Rahim, the founder Dean of the Faculty of Animal Husbandry and the former Vice-Chancellor, Bangladesh Agricultural University, Mymensingh. This Library is located in the 1st floor of main building and is rendering reference and bibliographical services to support teaching and research of the students and teachers.